For relaxation in the Canarian sunshine, there is no better place to choose than the 4 star H10 Lanzarote Princess in Playa Blanca. This lowrise hotel is close to the beach and has benefitted from a recent makeover. From the moment you walk into the tropical plant filled lobby you know you are in for a special holiday. The star attraction at this place is the pool scene. The lagoon style swimming pools are lined with palm trees and sun terraces, perfect for lazy days sunbathing. The kids pool has a pirate ship and water slides for a splashing time. There is more fun to be had on dry land in the Daisy Mini-club, complete with club house, activities and playground. The older ones are not forgotten with Playstations, Xbox, films and entertainment on the agenda in the Teen-club. Adults get a look in too, with relaxation for the mind and body in the Despacio Beauty Centre. As for dining, the main restaurant is a buffet affair with show cooking and themed evenings. For tea, coffee and home-made cakes, head to the coffee shop. 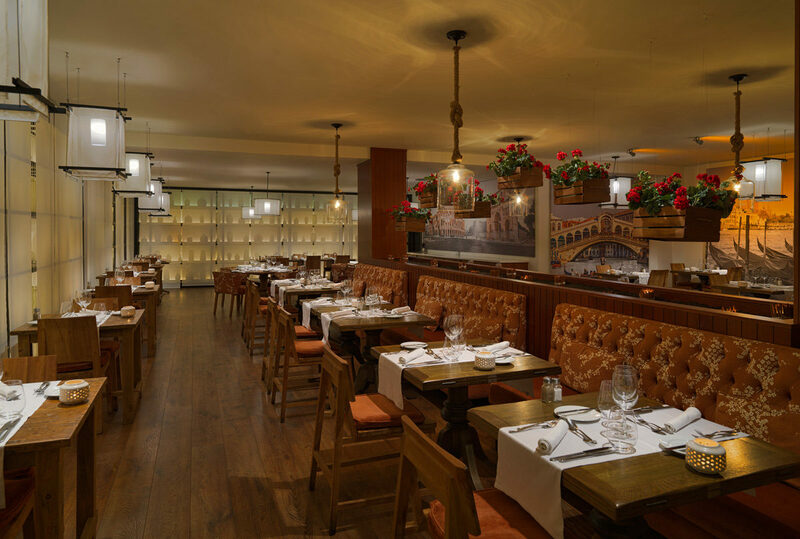 Or go down the a la carte route and tuck into Asian and Mediterranean flavours in style. A daily happy hour, nightly entertainment and three bars mean that the fun continues late into the evening at the H10 Lanzarote Princess. For an extra spot of pampering, why not upgrade to the new Privilege service and enjoy additional benefits such as enhanced dining options, free in room bar and late check out. 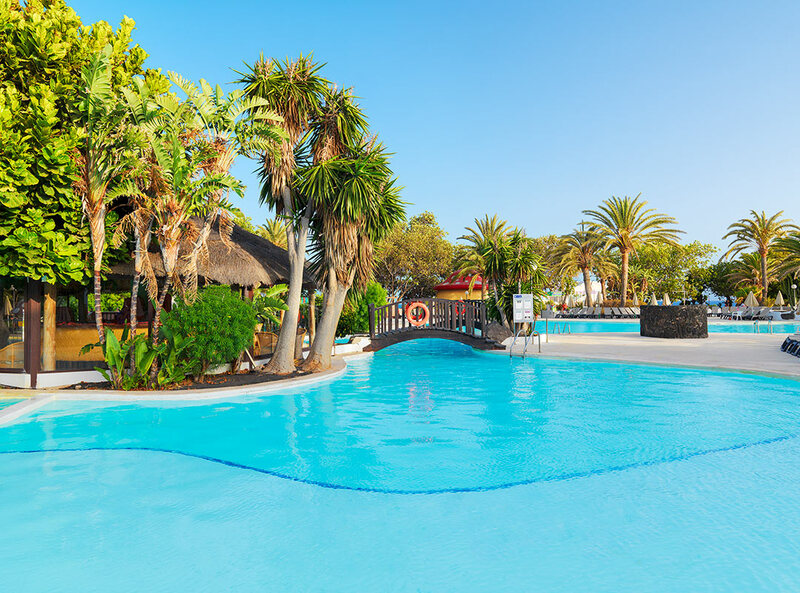 Discover why the 4-star H10 Lanzarote Princess is a favourite place to stay in Playa Blanca. 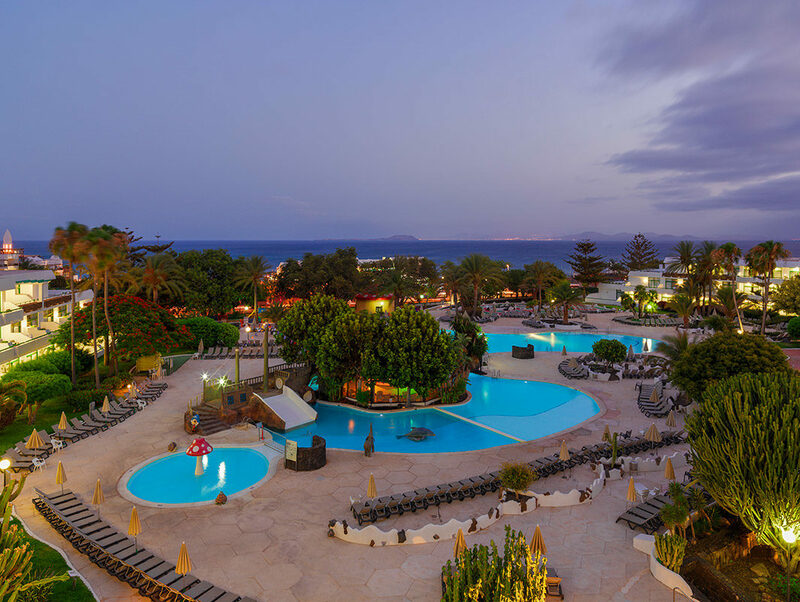 H10 Lanzarote Princess has all the facilities you would expect of a 4star hotel in Lanzarote and lots more besides. Highlights include: Lagoon style outdoor swimming pools, free WiFi in the lobby and the Privilege Lounge, internet corner, tennis court, mini golf, car rental, free outdoor parking, laundry service and 24/7 medical service. There is a buffet restaurant, two a la carte restaurants, coffee shop, a pool bar, and disco bar. 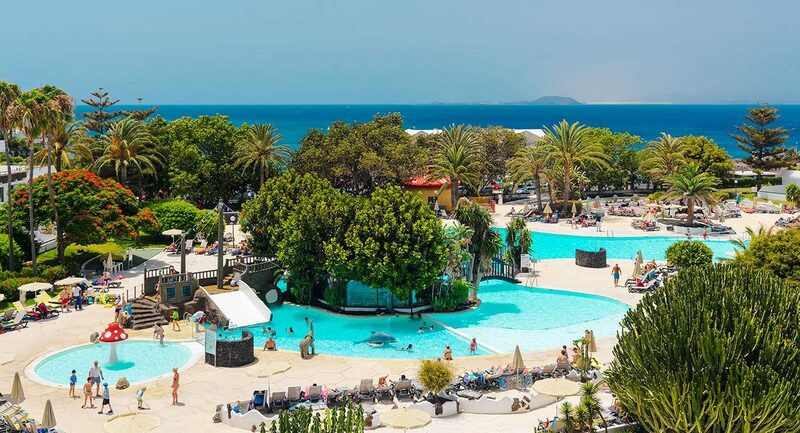 Additionally there is a mini club and a teen club with age specific activities, a kids pool with waterslide and pirate ship, a playground and mini disco. TheH10 Lanzarote Princessprovides an extensive programme of sports and activities organised by the inhouse animation team. These include tennis, basketball, water polo, volleyball, mini golf, plus Tai Chi, stretching, aerobics and Spanish lessons. 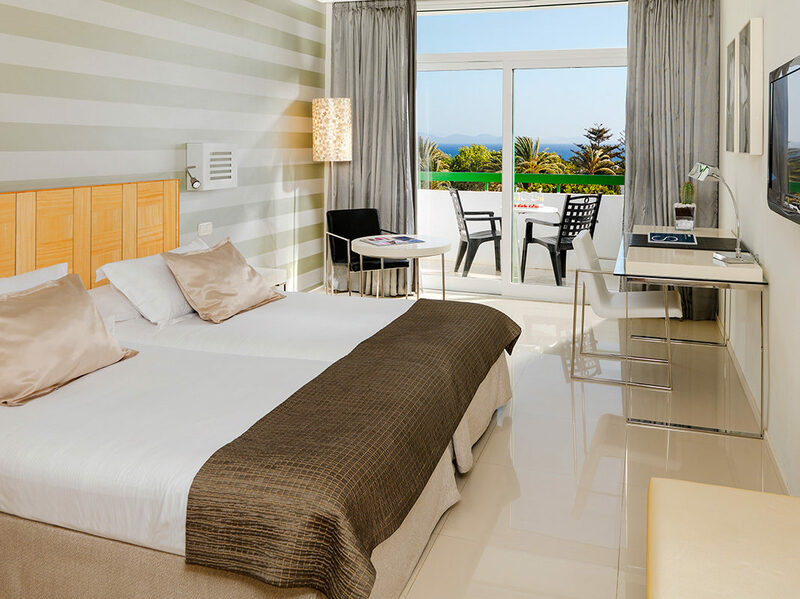 The H10 Lanzarote Princess has 417 guest rooms including basic, double, family and superior privilege rooms and suites. All rooms have balcony or terrace, air conditioning, TV with international channels, telephone, mini bar, safe, bathroom with hairdryer and Textures Collection amenities. Superior privilege rooms and suites come with additional facilities and benefits. 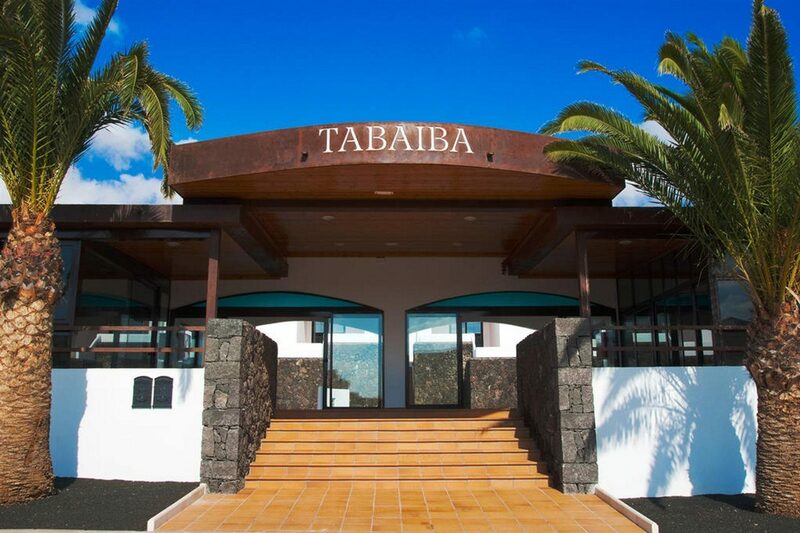 You can eat your meals in three different restaurants at the H10 Lanzarote Princess. There is buffet style dining and show cooking in the Yaiza restaurant. An a la carte menu is served in the Asian inspired Sakura restaurant and also in the poolside La Choza restaurant. Tea, coffee and cakes are served in Mikes Coffee Shop. In the centre of the pool, enjoy drinks at the Coco Loco Bar. Live music is served up with your drink in the Vintage Bar in the lobby. 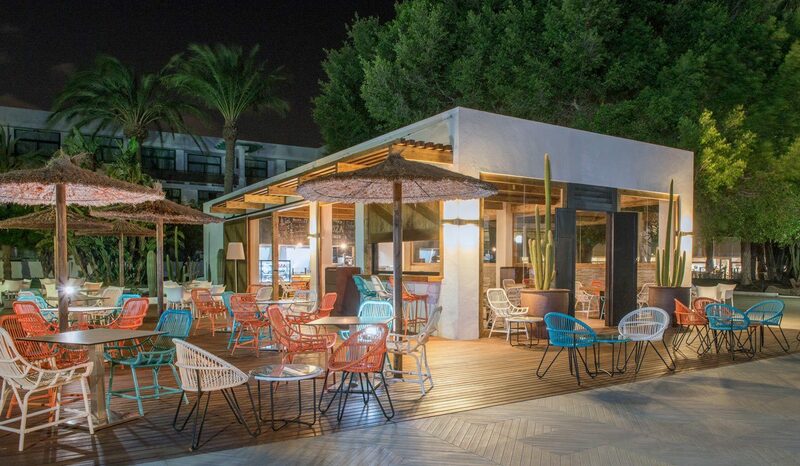 Papagayo Disco Bar is the spot for evening entertainment and fun. Hotel met all our needs as a family. Food entertainment and location was excellent thanks once again H10. Excellent choice. Staff were extremely helpful and patient! Would definitely recommend this as a place to stay. Good access to the town. A first class all inclusive hotel with some great little extras plus good staff. The hotel is very good indeed, including the room, the self service restaurant, the bars and evening entertainment. The hotel staff were very good, including reception, bar and restaurant staff. The location of the hotel is very good, between the town and marina. Also, the TUI rep Ellie was very helpful, and the tour to the volcanic mountain region was great. Food was the biggest moan, particularly the lack of decently cooked vegetables. Overall food description lots of choice, maybe too much but not enough quality. Apart from that we liked the hotel, especially the atmosphere, grounds, lovely staff, all overworked. Best one night spent in the hotel was special invitation restaurant. Love this hotel. Have been 3 times and it's always as nice as the time before. Not as good as other years, generally acceptable . Lovely hotel in a good central position. Already looking forward to visiting it again before too long. The room was comfy and the food was adequate. The hotel staff were excellent. The entertainment was good. I would go there again. Love this hotel, easy to find your way around and so central for shops and beach. Second time here and definitely would return again. Only negative the good sized swimming pool is freezing!